How to Get Instant Cash While Converting Gold into Cash? An emergency can arise to anyone as these are uncertain and can happen anytime. During these phases, you may need money which is not readily available with you. In such cases, Cash for Gold is here to serve you in need. We are always standing up with you in your bad times and good times both. As we are here to fulfill your immediate cash needs. With us, you can easily sell gold for cash and get instant payment in return. Selling precious metals is the feasible option to get on spot liquidity. It has been seen that most of the persons have not to get the expected amount when they sell their precious ornaments. All these happen due to lack of fundamental facts required to know. To enable you to earn deserving profits, our team of the expert panel is available to offer you their valuable guidance. We know that getting assured value of any item is complex in this uncertain situation. But the experience of our experts will provide you a great help as they are dealing in the industry on a regular basis. 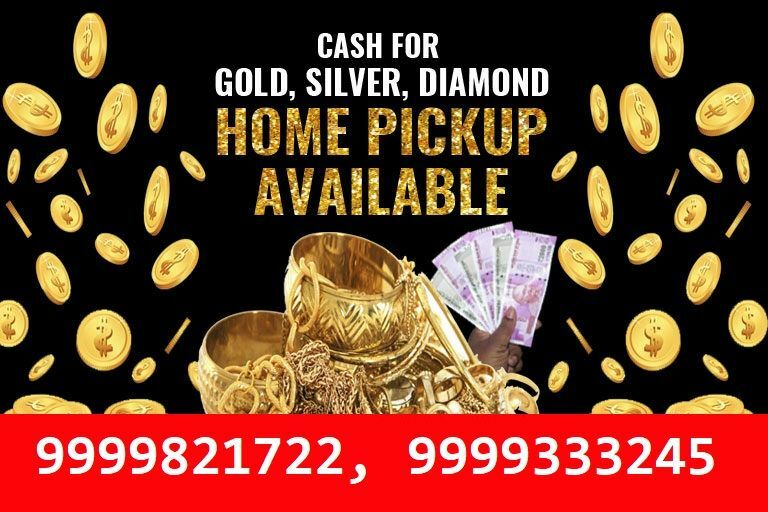 You can proceed to sell your gold online with Cash for Gold Naraina. In case you do not believe in online dealing, you can simply visit us. We shall be very pleased to serve you and fulfill your requirements. Our both the process either online or offline is very simple to follow. You will be pleased to know that we also offer a free home pick up facility. So if you do not have time, just request us for free home pick up service and provide your address, therefore. This service is available in case you are located within a radius of 45km of our nearest outlet. To know all the outlets, contact Gold Buyer in Naraina phone number 9999821722, 9999333245. Connect us to know more about our range of services. We can release your jewelry with banks and buy them to offer competitive value. If you are interested in doing business with us, then visit us Gold and Silver Buyer Naraina official website for more information and also contact us in the details mentioned in the description above.